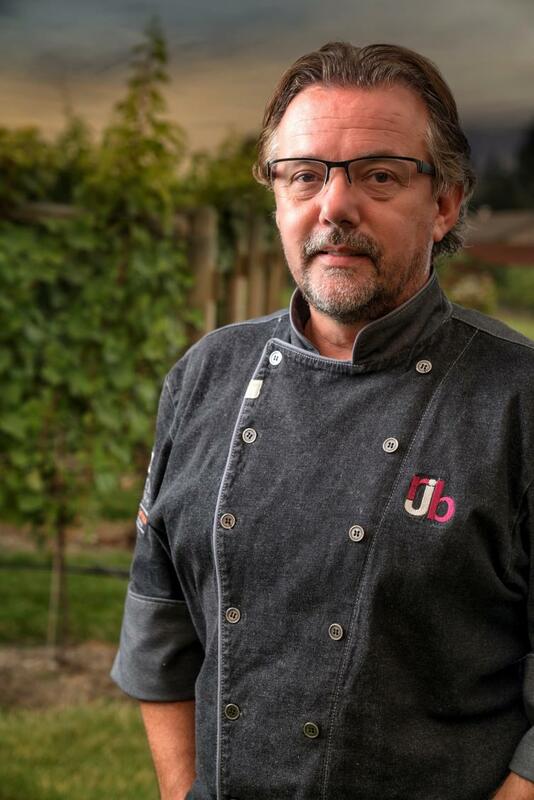 Chef Bernard Casavant (lovingly known as Chef B) is the beating heart of the Okanagan’s culinary community. President of the Okanagan Chefs Association, recipient of a Distinguished Alumni Award from Vancouver Island University in 2011, awarded member of the Canadian Culinary Federation’s Honour Society 2012 and a BC Restaurant Hall of Fame Inductee, he is also the Culinary Manager of Okanagan College’s Culinary program and has inspired and lead countless students into a career in the culinary arts. Also a talented artist, Chef B builds beautiful wood serving platters in his spare time and is a loving husband, father and grandpa. 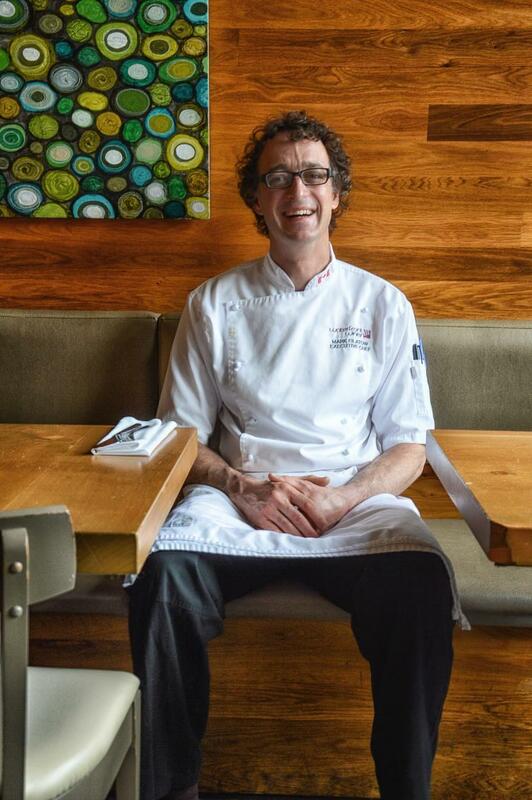 Chef Rod Butters is the original farm-to-table chef in Kelowna. With three restaurants on the go: Raudz Regional Table, Micro Bar Bites and Terrafina at Hester Creek by RauDZ, he and partner Audrey Surrao have maintained a strict philosophy in sourcing local, sustainable and seasonal cuisine. His career began at the esteemed Wickaninnish Inn where he became legendary for directly approaching local farmers, fishermen and artisans to provide the ingredients for his cuisine. 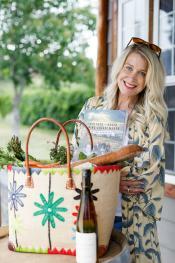 Butters has just released his long awaited cookbook, an embodiment of his philosophies through his recipes, each kindly chosen to be simple enough for the home cook to create: The Okanagan Table: The Art of Everyday Home Cooking. Being a local: The Okanagan has ideal conditions for the farming industry making it perfect for home gardeners too. Chef Butters loves to spend time in his garden with his pal Sunny the Golden Retriever. Chef Roger Sleiman was raised in Beirut, Lebanon and immigrated to Canada at age 10. 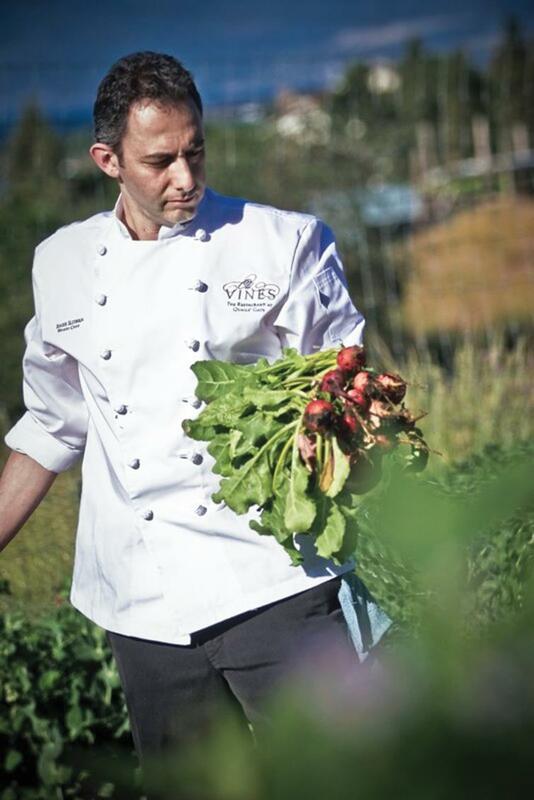 In 2006 he took the helm of the kitchen program at Old Vines Restaurant at Quails’ Gate Winery and installed his passionate principles of simple, fresh, local, seasonal ingredients to create his menus. Another celebrated, original leader sourcing local, Sleiman was one of the first local chefs to create his own culinary garden. Roger has created a unique magic in his wine country dinner events. Serving special wine paired dinners on a spectacular long table set down a row in the vineyard at the winery has set the bar for Okanagan wine country experience. Sleiman has also created special dinner events with like-minded chef friends like Whistler ‘s ARAXI superstar Chef James Walt. Being a local: Roger spends some of his down time focusing on another course (other than starters, mains, and desserts) - the golf course. With 19 golf courses in the area, it&apos;s easy for one of our best chefs to get some time out of the kitchen. Chef Mark Filatow is partner, executive chef and sommelier at Kelowna’s celebrated Waterfront Wines restaurant and Details Catering. Winner of Vancouver Magazine’s Restaurant Awards for best restaurant like a million times. 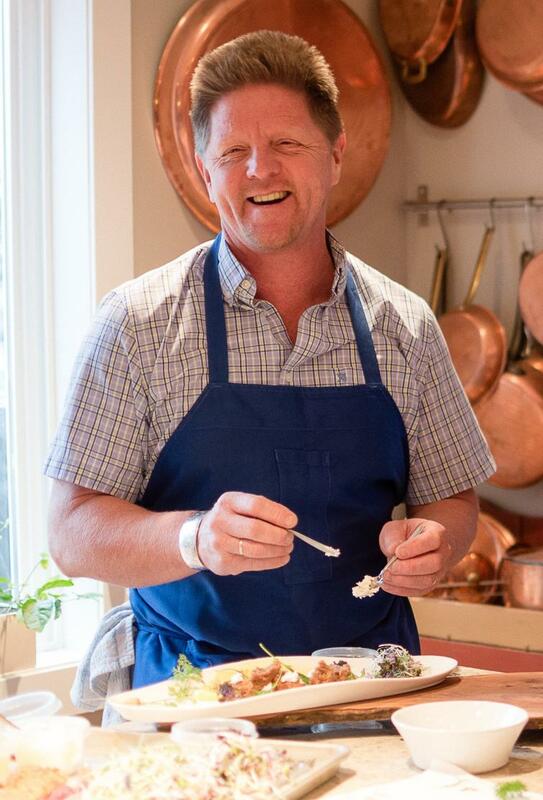 Mark’s culinary history includes Tofino’s Wickaninnish Inn, Vancouver restaurants Bishops and Diva at the Met, and Kelowna’s Fresco Restaurant (now RauDZ Regional Table). He was named Top Foodie Under 40 by Western Living magazine, has won the BC Gold Medal Chefs competition, and has cooked at the prestigious James Beard Foundation House (oh and there is more!) in 2001, he became one of the only chefs in Canada to be accepted into the prestigious Sommelier Guild. What makes this guy even more special is his humbleness. He is a lovely man, who truly lives and breathes his philosophy of serving his community – from feeding us, to supporting local farmers, producers and artisans. And he is busy-- a young family on the go, a big garden at home that he sources from and you will see him whizzing to and from work on his bike. All this busyness and the guy is still super chill. 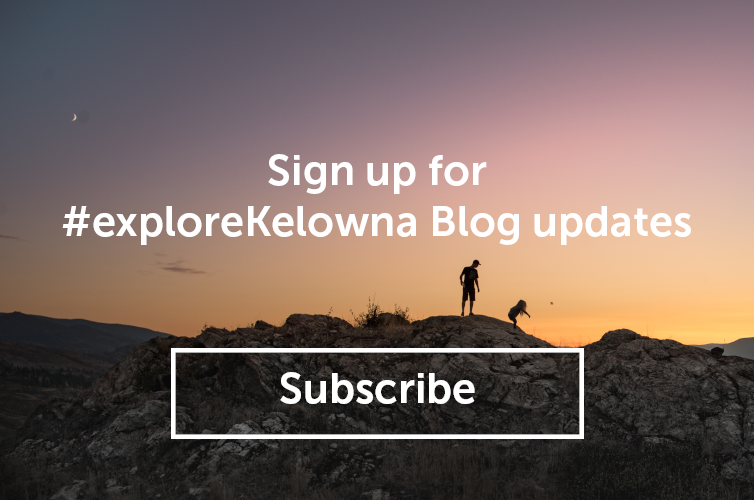 Being a local: Mark is an avid cyclist and enjoys all of the wonderful bike trails available in Kelowna. He especially loves the new wine-cycling tours in South East Kelowna! 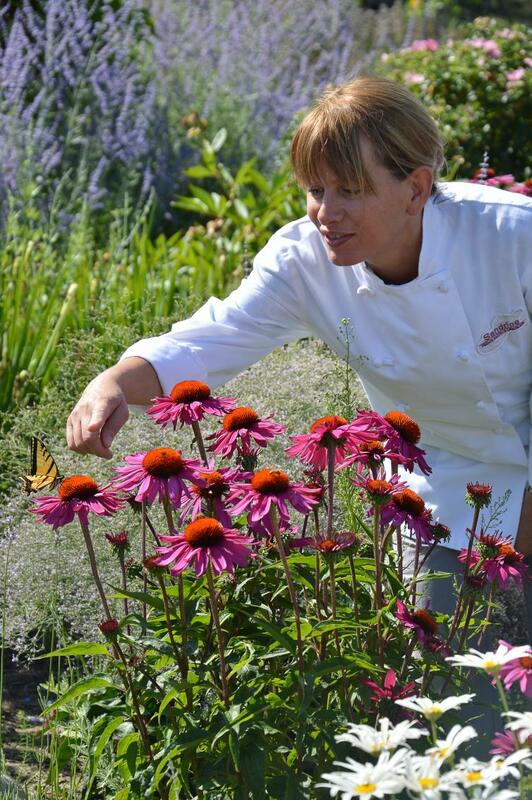 Chef Sandrine Martin-Raffault was born and raised in the Beaujolais region of France and trained in Paris and then thrillingly came to us in 2004 with her family. Their first shop, La Boulangerie brought Kelownians a taste of beautiful French cuisine and then in 2010, they decided to focus on creating Sandrine’s true passion: French pastry and chocolate- mais oui! Cakes, macarons, croissants, chocolates…all you could wish for in one decadent stop. Sandrine shares her passion through pastry classes and hands-on workshops, where small groups of participants learn how to bake French cakes and desserts from scratch in her professional kitchen. Being a local: With the artist hands of a pastry chef and chocolatier, Sandrine has a new passion in her life: pottery. Kelowna’s Rotary Centre for the Arts offers an array of classes through the Potter’s Addict and is where she is learning the craft. Food just tastes better here. Visit these, and other area restaurants to &apos;taste the Okanagan&apos; and experience how our chefs turn fresh, local products into delicious meals and desserts.